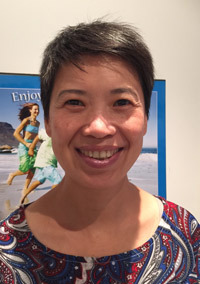 Tanya Tian is a qualified acupuncturist with Bachelor’s degree in health science in Acupuncture (University of Technology, Sydney) and is a qualified Chinese medicine herbalist with a Master’s degree in applied health science in Chinese herbal medicine (Royal Melbourne Institute of Technology). Tanya Tian has been practicing for 16 years. Tanya is passionate about empowering you to achieve the optimal health. She can also provide positive advice about both preventive solutions and beneficial lifestyle choices. Tanya can assists with many conditions and ailments but her specialist filed is the management of pain and emotional conditions such as stress, anxiety and depression. Her methods include acupuncture, moxa, cupping, acupressure and Chinese herbs. Lakeview, Westfield & Seaton areas express optimum health!